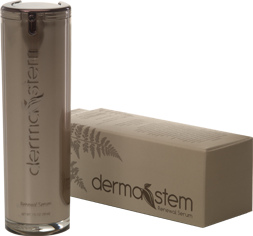 DermaStem's® has all-natural ingredients that support the ideal environment for the natural regeneration of the adult stem cells, and the natural process of skin renewal. DermaStem contains absolutely nothing artificial. It is an emulsion of dozens of ingredients gathered from around the world, that work individually and in concert to regenerate the skin, while also fighting the effects of oxidative stress and other harmful internal and external triggers that cause premature aging of the skin. Cold processing preserves the very fabric of each plant for unprecedented effect.